Goodness. Here is a look at the official Catbus for really big kids. You know, grown-ups. Above, via Twitter user Icecream 37, we get a look at the outside (and inside) of the newly unveiled bus. 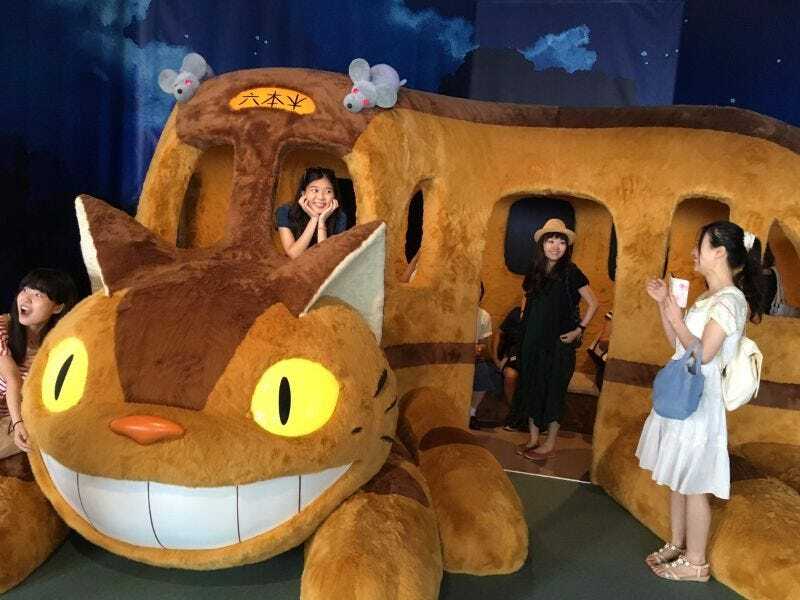 Previously, Kotaku reported that a Studio Ghibli exhibit was getting a special Catbus for adults. Until now, only children have been able to crawl around in the museum’s Catbus. Inside, it’s fluffy as hell. This particular Catbus is now on display as part of a Ghibli exhibition at Tokyo City View in Roppongi. There will be another one at the upcoming Studio Ghibli Museum exhibit in Mitaka; however, that doesn’t start until July 16.